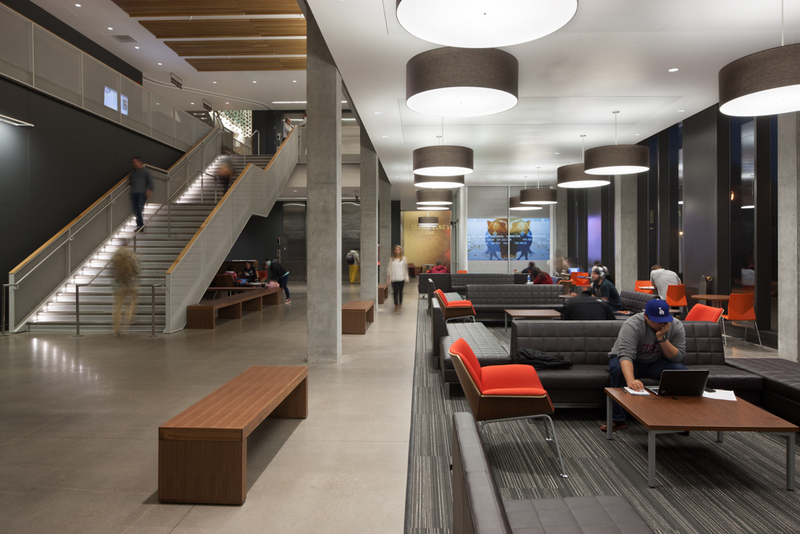 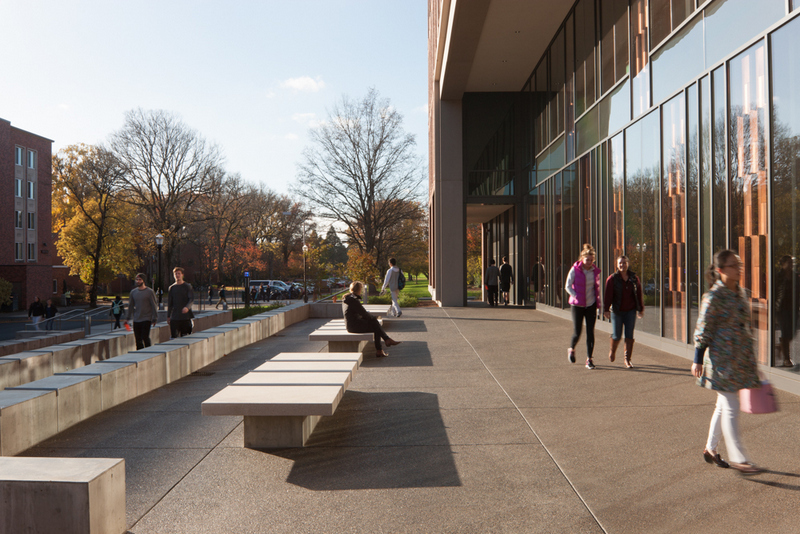 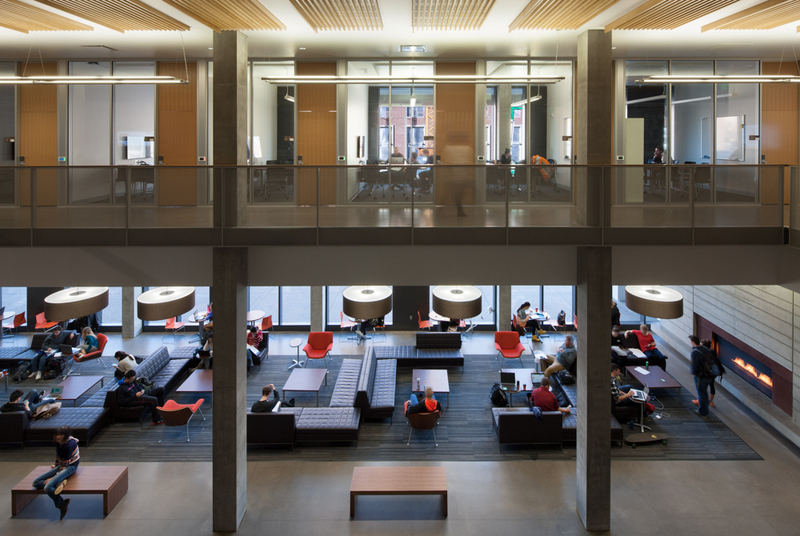 Austin Hall was designed to be an all-hours destination for students, an open, comfortable and welcoming place that would foster discussion and collaboration in an environment tailored to providing a 21st century business education. 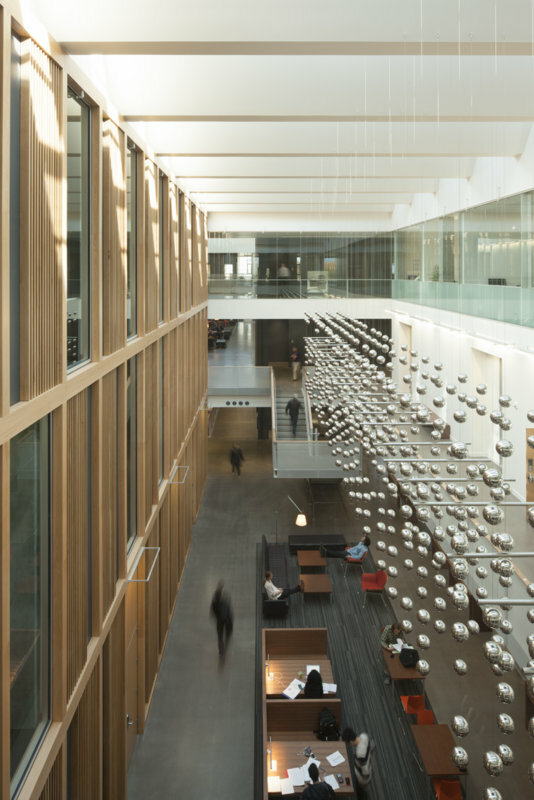 Opened September 2014, the bright, airy 100,000-square-foot building is clearly living up to its promise. 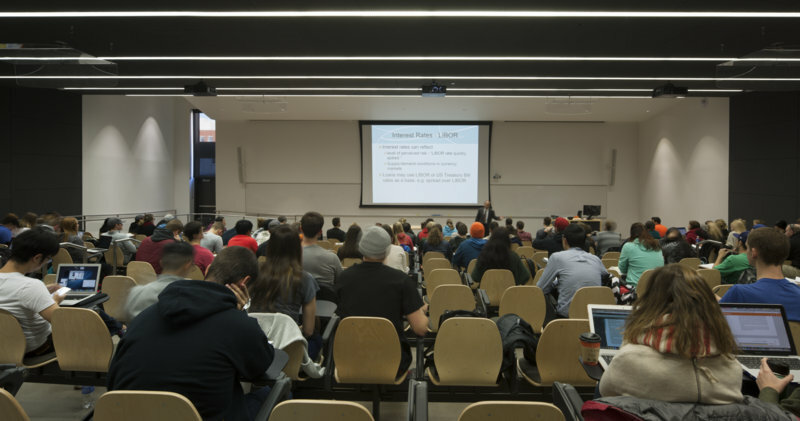 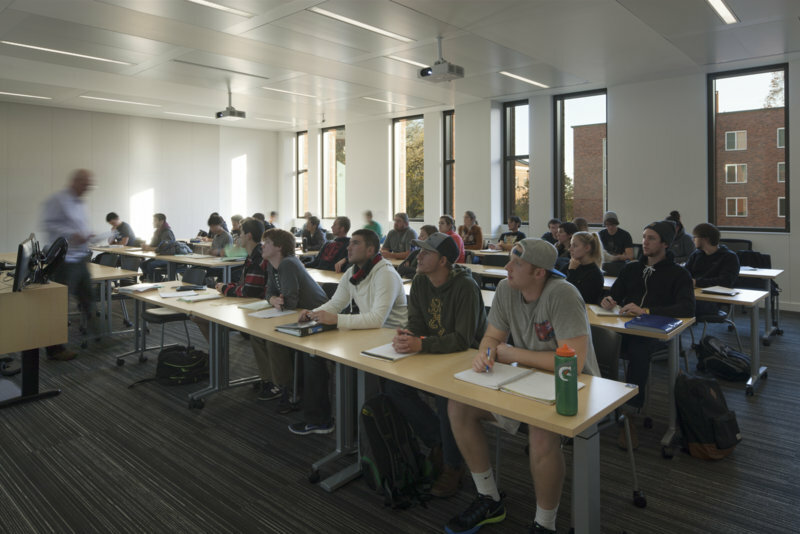 The building has 700 seats spread among 10 classrooms, plus 23 computer- and big-screen-equipped project rooms that students flock to, including in evenings and on weekends. 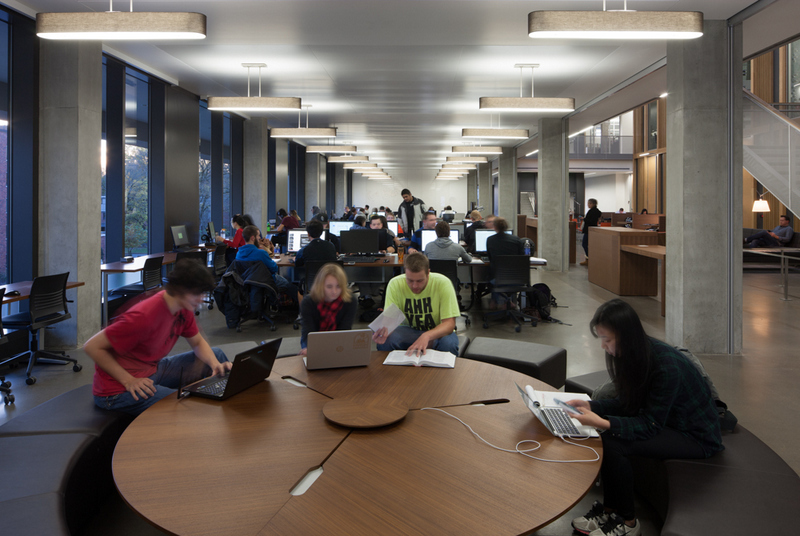 Students are also slowly learning about the “hidden” study areas on the second and fourth floors behind the staircases. 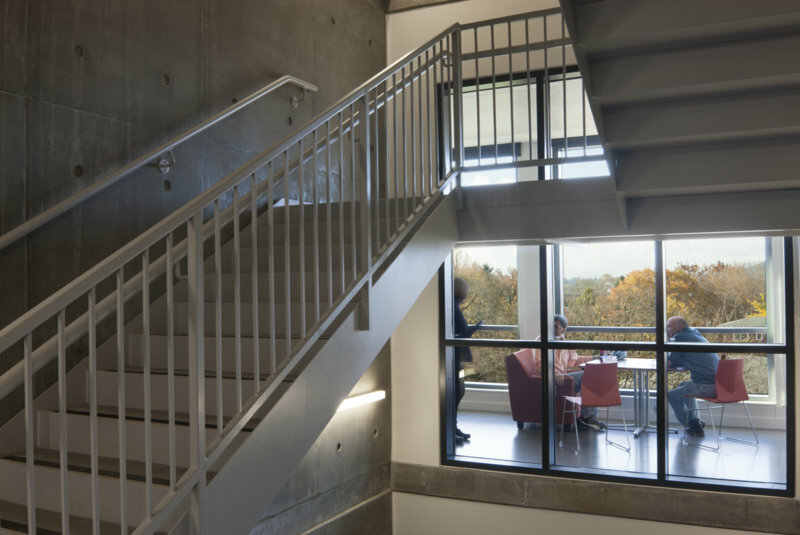 The west fourth-floor location in particular offers spectacular views. 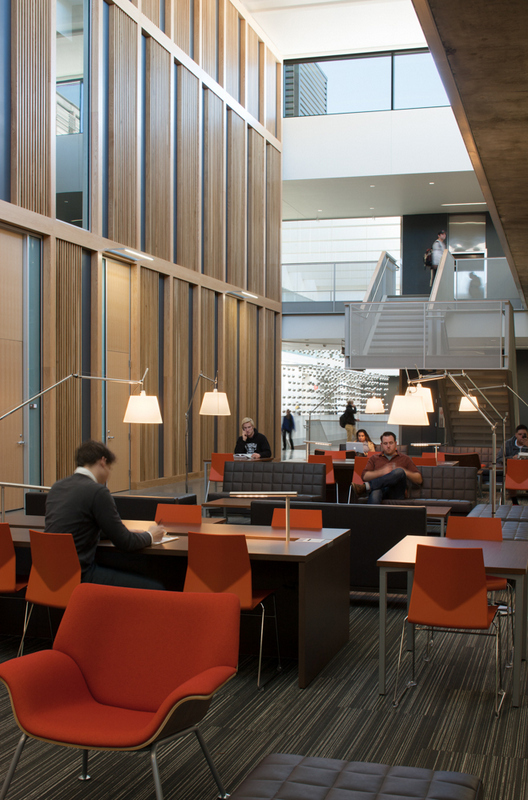 There’s also the Jon Masterson Family Marketplace (complete with chairs, sofas and fireplace), The Reser Student Success Center (for academic and career advising), an atrium and study area dedicated to graduate students, event space, Trader Bing’s Café, and a wide, central staircase that creates opportunity for impromptu discussion. 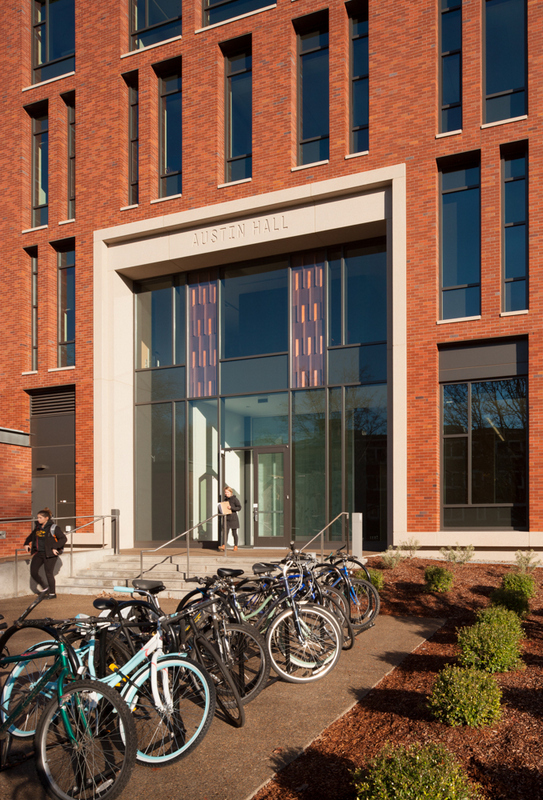 Ken and Joan Austin and Al and Pat Reser provided the lead gifts for the funding of $50M building, which was comprised of private philanthropy and state bonds. 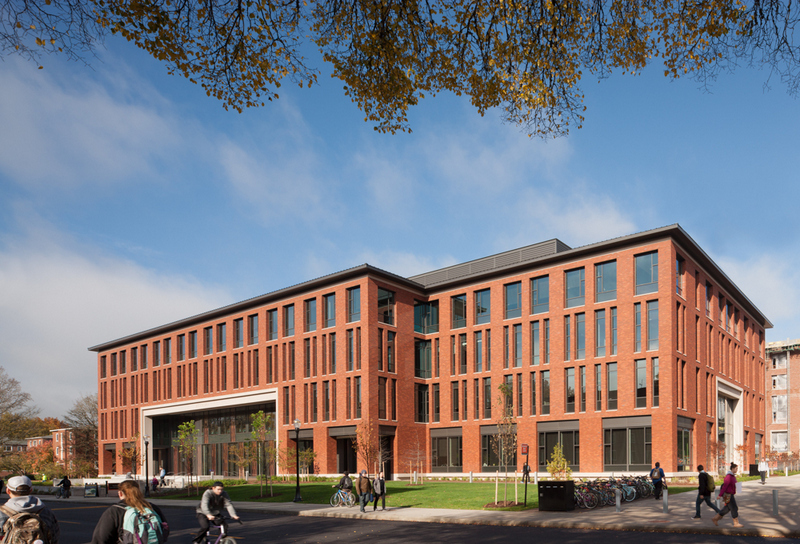 THA Architecture was the architect of Austin Hall and Andersen Construction (owned by alumnus David Andersen ’80) was the builder and general contractor. 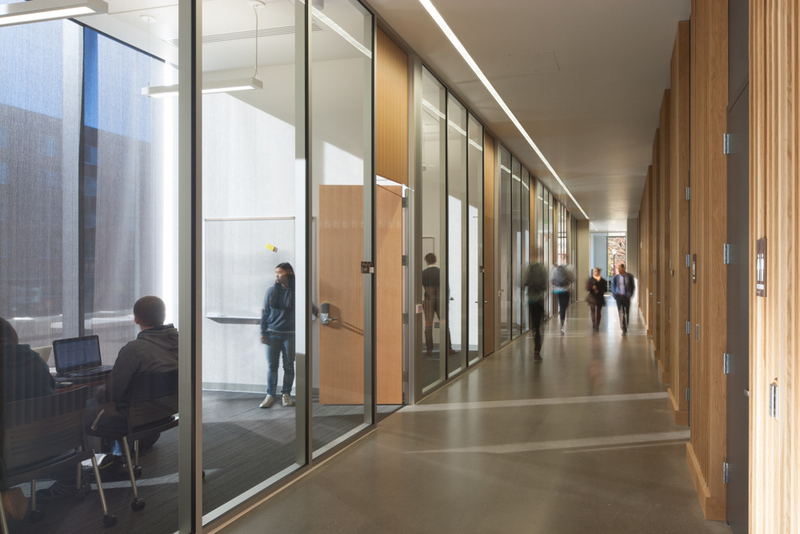 Career Success Center/College of Business Corporate Partners that have invested in the building and the center include: adidas, Aequitas Capital Management, Boeing, Daimler North American Trucks, Mutual of Enumclaw Insurance, The Odom Corporation, Oregon Bankers Association, OSU Federal (Community Credit Union). 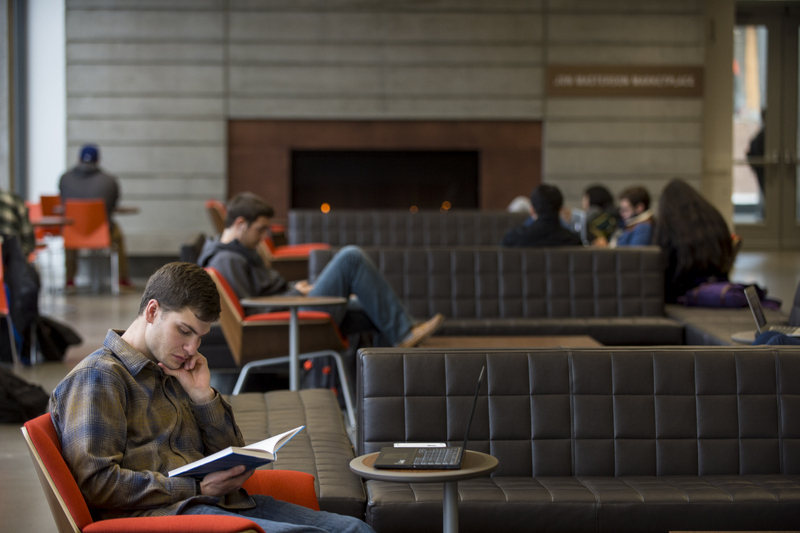 Also Dell, KPMG, a-dec, Portland General Electric, Reser’s and Salesforce are partners.